Aren't they something? 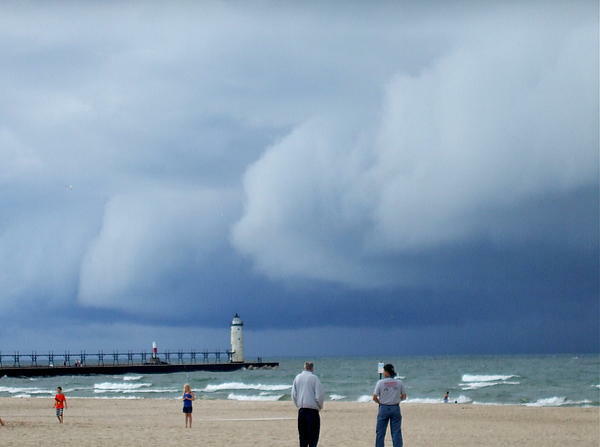 Storm hit very soon. 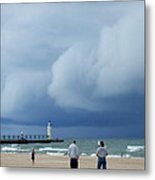 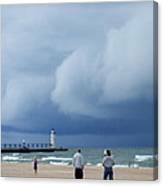 Dramatic matching white clouds in a deep grey sky surge onshore as a storm is about to hit at Manistee on Lake Michigan.